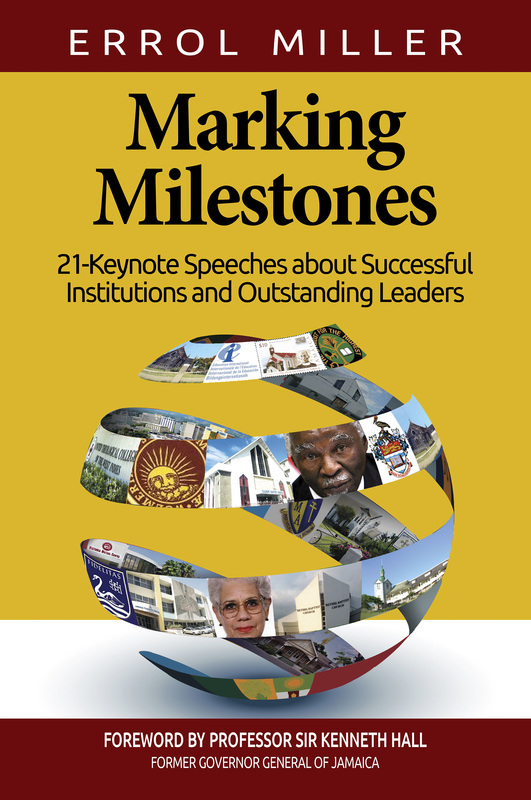 In Marking Milestones: 21 Keynote Speeches about Successful Institutions and Outstanding Leaders, Professor Errol Miller addresses fundamental issues through the lens of these institutions and explores the unprecedented sacrifices made by some of our most often unheralded leaders. These speeches, written in an easy-going, non-academic style, persuasively remind us of who we are, the road we have travelled and a future of possibilities. ​This iconic collection, laced with humour, history and heart, will give you a deep understanding of the circumstances and the crises that impact us individually and as a nation. You will gain a greater appreciation of the Caribbean; its history, beauty, educational systems, and the values and beliefs that garner Jamaica’s position of audacity on the world stage. ​ORDER CUSTOMIZED BOOKS FOR GIFTS AND FUNDRAISERS! 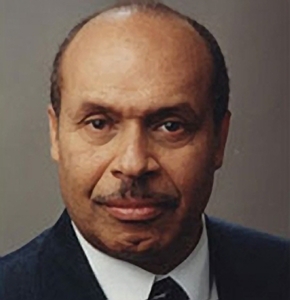 Professor Emeritus, the Honourable Errol Miller B.Sc, MA, Ph.D has had a distinguished career as an educator and public servant. He is also author of The Prophet and the Virgin, and 17 other books and monographs, 30 chapters of books and over 70 papers and reports in peer-review publications. A renowned, charismatic speaker, his keen interests in history, education and nation-building, co-mingled with unwavering Christian sensibilities, have manifested into his becoming one of the de facto keynote speakers for commemorative, milestone events in Jamaica, the Caribbean and the diaspora. 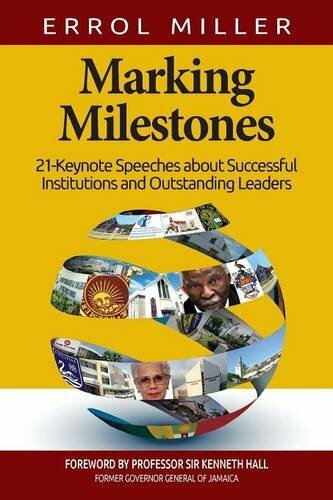 In this book, Marking Milestones: 21 Keynote Speeches about Successful Institutions and Outstanding Leaders, Professor Miller honours these organisations and leaders. The book is created to inform and inspire a wider audience than those who heard the speeches. In whatever capacity he has served, Professor Miller is known for his nonpartisan approach to government and politics. As Permanent Secretary in the Ministry of Education, Jamaica, he has provided leadership for the implementation of major reforms such as free secondary and tertiary education; the integration of schools serving children with various disabilities into the public system; and the conversion of three-year junior secondary schools into five year secondary schools across the country. As a member of the Electoral Advisory Committee (EAC), and first Chairman of the Electoral Commission of Jamaica, Professor Miller has provided leadership in Jamaica’s electoral reform process over twelve years, and has contributed to the high regard now currently enjoyed by the Electoral Commission and Jamaica’s electoral system. 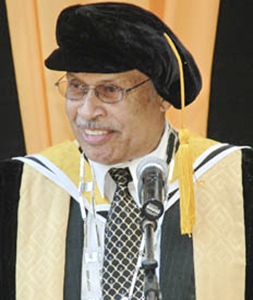 Professor Miller earned the Super Lion Award (1974), for being a Distinguished Graduate of Chancellor Hall, University of the West Indies, Mona. Since then, he has been the recipient of numerous awards, locally and internationally, for his contribution to education and public service. These include: Two Fulbright Fellowships for Senior Academics; Commander of the Order of Distinction and Order of Jamaica; the Vice Chancellor’s Award for Excellence at the University of the West Indies; UWI Doctor of Laws Honoris Causa; the UWI Alumni Association Pelican Award 2006; Jamaica Teachers Association Honour Roll and the Albert Shanker Education Award for 2004 by Education International.